Last night Tensorflow held the Dev Summit 2017. Although it was in California, they streamed all talks live through Youtube (https://www.youtube.com/watch?v=LqLyrl-agOw). 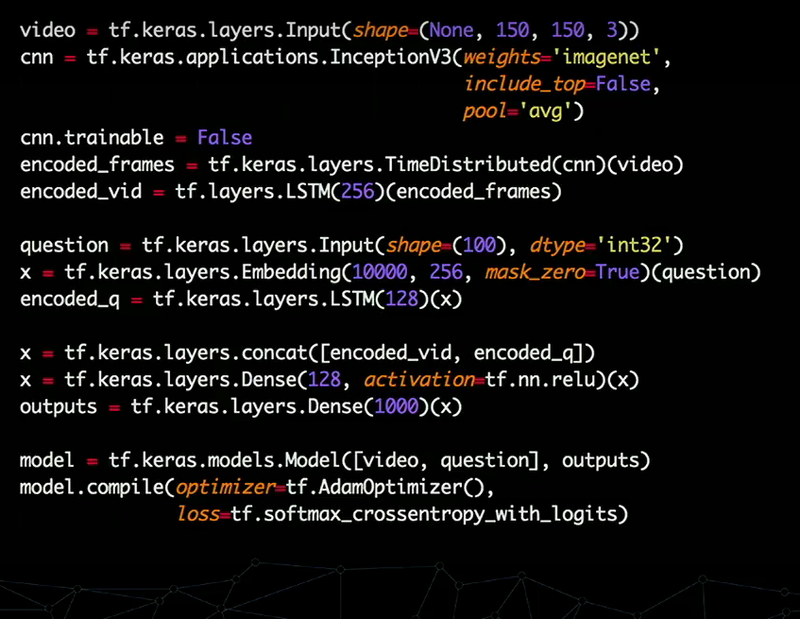 As I use Tensorflow a lot I loved watching some of the talks (together with 2500 other people watching live). This blog post is a summary of the first talks I watched before going to bed. First of all, it was great watching the announcement of version 1.0 at the start of the conference! Each talk later kept referring back to new features, some of which will already available in the next release! Dandelion Mane explained Tensorboard. Up till now I mainly used it as a cool visualization tool for other people (impressing your boss and showing co-workers how cool your network is). Dandelion also showed how using Tensorboard is very practical for debugging your model if it is not learning. He started by creating a graph with an error (which I did not spot) and shows the model is not training. He shows that through the use of Tensorboard it is easy to find where you make this error. I know I will be using Tensorboard next time I have a problem. Francois Chollet talked about the integration of high-level libraries in Tensorflow. Although TFLearn, TFSlim, and SKFlow are already available, I still used Keras for quickly developing a quick model. The Tensorflow guys took the ideas of Keras and implemented them directly into Tensorflow in an efficient manner. Most interesting about this is that Keras includes all best practices, for example, it initialises your weights in a way that makes sense. Let me know what your thoughts were on the conference, and what talk you enjoyed the most!